The proposed subject and authorship of this portrait was questioned by Alastair Laing, who argued that it is of Italian, not French origin. The discussion on Art UK concerning the identity of the sitter and artist led to the discovery that the portrait was not painted by the French artist François Boucher (1703–1770) and does not depict Eva Maria Garrick (1724–1822). The portrait is now attributed to Giovanni Maria delle Piane (1660–1745), also known as Il Mulinaretto, and is entitled ‘Portrait of an Italian Noblewoman’ dating from c.1710–1720. The discussion started with a brief comparison with a painting by Johann Zoffany. This resulted in an agreement that the portrait was not painted by Zoffany and the artist was most likely Italian, but the sitter was still assumed to be the same. The focus of the discussion then shifted to determining when and where in Italy Eva Maria Garrick and her husband David Garrick visited, in an attempt to narrow down the potential artist. It was argued that the painting looked Neapolitan and Tim Williams provided evidence that the Garricks visited Italy from 1763–1765, staying in Naples for three months. However, Williams disproved the identity of the sitter as Garrick due to the appearance of the dog in the portrait, which does not correspond with the family lapdog in Zoffany’s painting of Mr and Mrs Garrick by his Temple to Shakespeare at Hampton. 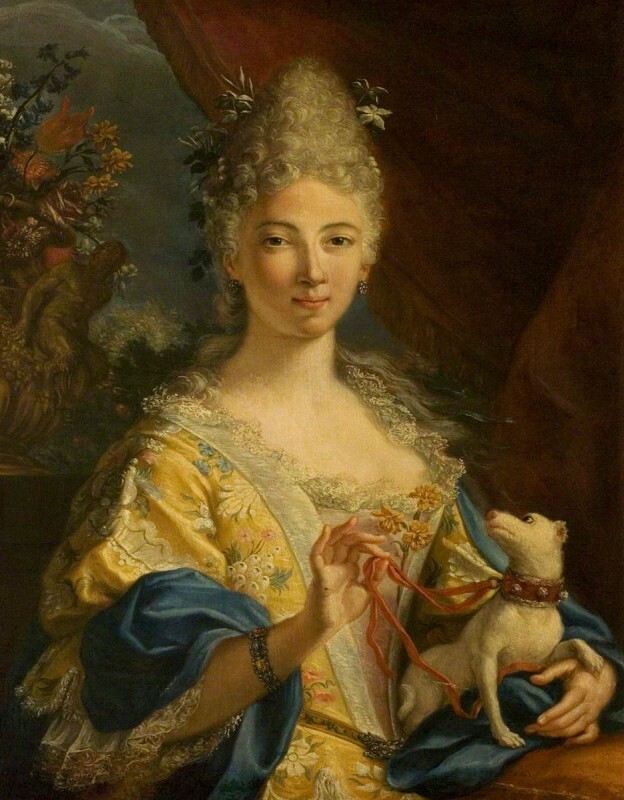 Eva Maria Garrick was dismissed as the sitter on the basis of her lapdog, dress and the style of the painting. Laing was the first to identify the potential artist as Giovanni Maria delle Piane due to the evident French influence and exaggerated hairstyle which were characteristic of his artistic style. Kieran Owens then put forward the idea that the portrait could be by Sebastiano Ceccarini (1703–1783) due to the similarities in the treatment of the high-quality costume, the portrayal of jewellery in the hair and the breed of dog. Jacinto Regalado questioned the comparison to Ceccarini due to the generalised nature of the sitter’s face, which does not align with his traditionally more individualistic depictions of women. Andrew Greg confirmed Laing’s opinion and stylistic comparison with the art of Giovanni Maria delle Piane, providing examples of his portraits in the Fondazione Zeri catalogue, which concluded the discussion. The Shakespeare Birthplace Trust and Art UK have updated their information on this painting due to these discoveries. Does this portrait really depict Eva Maria Garrick? Who could be the artist?